Join Keith Raisanen, President of Finnleo, as he takes you for a tour of the 2016 Finnleo IPSE Booth in New Orleans. In this first video, Keith introduces us to the new Black Line series heaters, which includes 3 models (Vena-T, Himalaya, and Laava) which have the available option of the BWT (Bio Water Technique) Feature, an integral water system to help create the perfect balance of heat and humidity within the sauna. 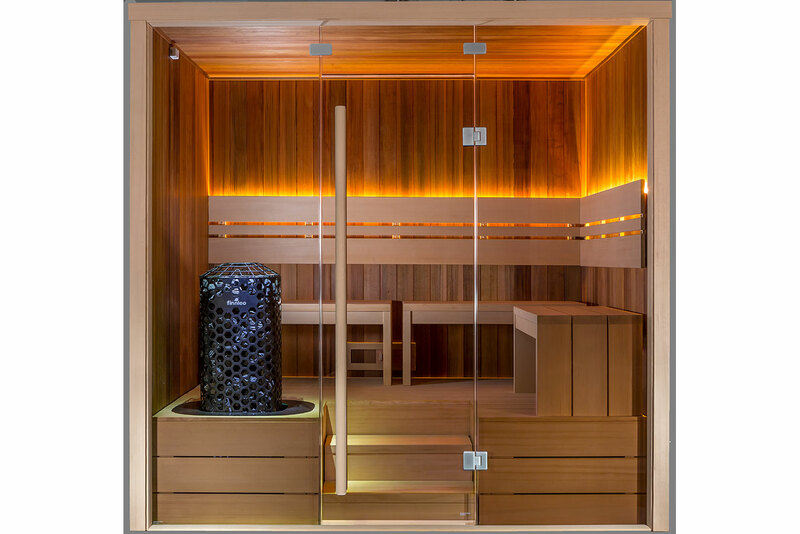 Next, Keith displays the Rento accessories and highlights some key features and design updates to our traditional sauna rooms. The Finnleo Plug 'N Play rooms give ease of installation and attractive price point to heat bathing, which allows new sauna enthusiasts to enjoy a private sauna (traditional or infrared) whether the live in apartment, condominium, or house. New for 2017 is the Finnleo exclusive Custom Low EMR / EF Far-Infrared sauna and 2-in-1 Low EMR / EF InfraSauna. This new product gives greater flexibility in design and continues to improve upon Finnleo's industry leading safety. In addition to all the new products and features seen within the booth, Finnleo’s redesigned website launched on November 4th. Designed for improved navigation and performance with a responsive design, the new Finnleo.com will help show how sauna enhances one’s health & wellness program, both physically & mentally.